Jade crystal facet octagon awards in 10mm thick glass, 10cm tall. Affordable, great-looking flat glass awards offered with engraving and/or colour print options. These superb jade crystal glass awards are priced to sell and provide great-looking trophies that won't hurt your budget. They are made in 10mm thick glass, thinner than our 12mm and 15mm flat glass awards. 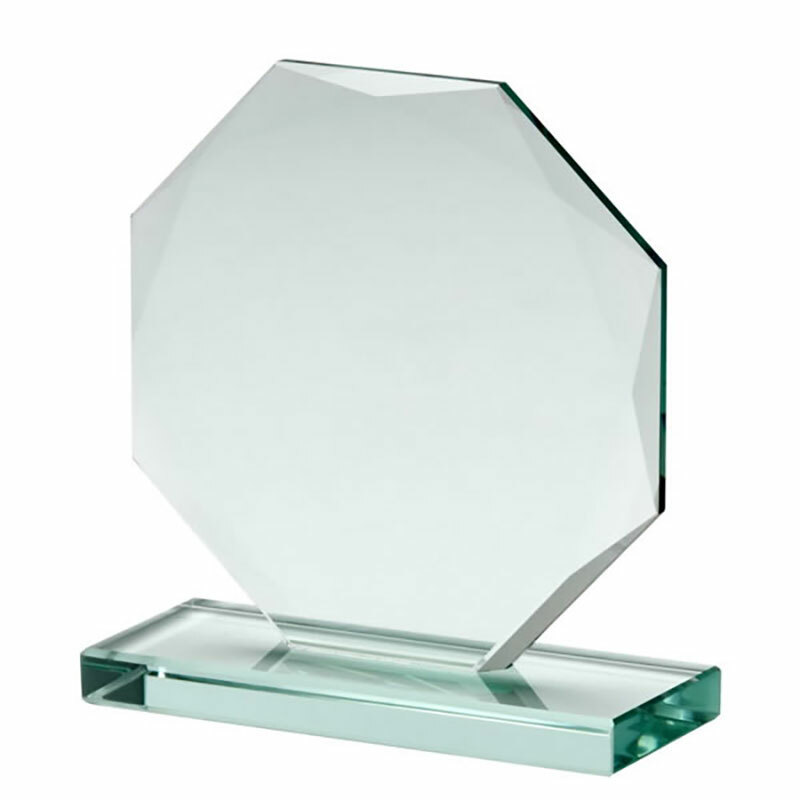 They stand 10cm tall and feature an octagonal award with faceted edges set on a flat glass base. The flat front of the award is ideal to be engraved with details of your award achievement and winners, and these glass trophies are offered with low, fixed-cost text engraving and free logo engraving. A colour print option is also available - please use the Request Quote tab to get a custom quote for your colour branding requirements. Thoroughly happy with awards bought. Excellent.